But even though everyone from celebrities to your cubical mate are “cleansing” these days, are these eating (or not-eating) programs actually healthy for you? Truth is, they might not be. 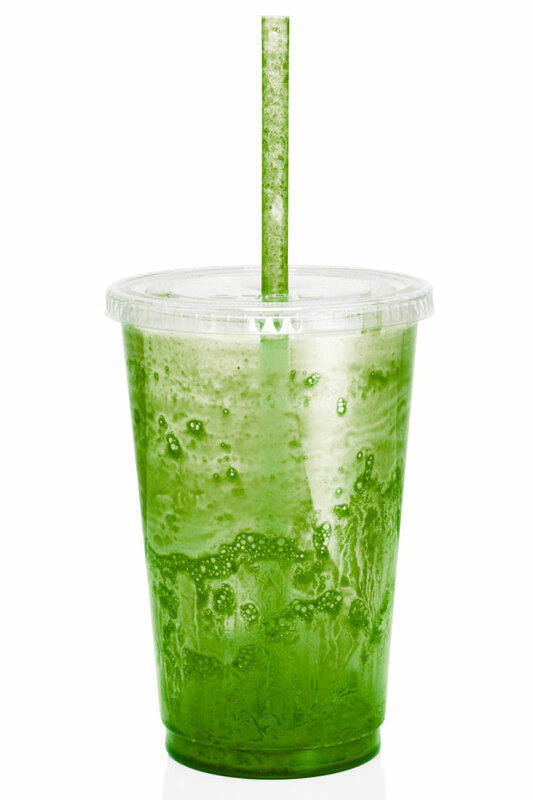 Here are five reasons NOT to drink only green juice for a week. Health coach and fitness specialist David Zulberg, author of The 5 Skinny Habits: How Ancient Wisdom Can Help You Lose Weight and Change Your Life Forever, says that while detox diets are popular these days, they don’t do what they claim. “According to Frank Sacks, MD, of the Harvard School of Public Health, there is no basis in human biology that your body needs help getting rid of toxins,” he explains. “Your body does this naturally, no matter what you eat.” That’s why we have kidneys and a liver… duh. Now, deciding to abstain from alcohol, cigarettes, coffee and your 3pm candy bar habit is a “cleanse” of sorts that your body probably would appreciate. Making a major lifestyle change (especially giving up smoking) is far more beneficial to your bod than going gluten-free (for non-medical reasons) for 30 days. 2. Juice cleanses can spike blood sugar and cause digestive issues. 3. “Detoxing” can be a fancy word for starving yourself. According to Zulberg, “cleanses are unhealthy and even dangerous because most detox diets demand fasting, drinking only liquids, or eating only fruits and vegetables.” By cutting out certain foods or types of foods, you can deprive your body of vital nutrients like protein and good fats, which can help regulate hormones and promote healthy skin and hair. If you’re juicing, you may lose weight, Zulberg adds, because these diets are “usually very low in calories or you’re simply starving yourself.” Because of the lack of fiber in juice cleanses, you’ll also feel less full. 4. Cleansing can set you up for failure—and rarely produces lasting results. The reason cleanses tend to have clear start and end dates is because they are very hard to stick to in the long term (not to mention unhealthy if you follow the program for too long). Yo-yo dieting back and forth between cleansing and binging (because you’ve starved yourself for however many days) won’t bring your body lasting change. And no one wants to spend her life gravitating between dieting or feeling poorly because she couldn’t stick with it. 5. Being on a cleanse could be super annoying—for you and for everyone you’re friends with. Let’s be honest: No one wants to be the girl who has to sip on water during happy hour because she’s on a “juice fast.” And no one wants to go to happy hour with the girl who won’t shut up about the “amazing” cleanse she’s on (while staring intently at the bread basket). Finding balance is the key to a healthy, happy life—while juicing, detoxing, and cleansing sound like amazing quick fixes, there’s no miracle solution to looking and feeling your best—which is kind of a relief.